In fact, they were looking for a specific enzyme. What they found is something so fundamental that their new findings might well find their way into textbooks. Referred to here is the amino acid lysine, which is an important building block in proteins. In bacteria and many other organisms, lysine generates energy during degradation. "We thought that there was nothing more to discover in this field. Then it occurred to us that for many bacteria so far nothing is known about how lysine is degraded," says Professor Jörg Hartig, biochemist at the Department of Chemistry of the University of Konstanz. This even applied for the organism which is by far the most thoroughly studied: The bacterium Escherichia coli, in short E. coli – microbiology's model organism. The results of the collaborative work conducted by researchers in the Department of Chemistry and the Department of Biology at the University of Konstanz can be found in the current issue of Nature Communications, 29th November 2018. Lysine degradation was so far unknown in many bacteria. The new pathway discovered by Jörg Hartig and his two doctoral researchers Sebastian Knorr and Malte Sinn has closed this knowledge gap. "It's a completely new pathway that follows a route so far unknown," says biochemist Hartig. To date, lysine was considered to be one of two amino acids where sugar cannot be obtained directly out of their degradation pathway. It was considered to be solely ketogenic instead of glucogenic. This means that precursors for fatty acid metabolism are obtained during degradation. Lipids can be synthesized from this, for example. However, the synthesis of sugars from simple building blocks is very important for metabolism. Important findings were obtained while describing the various degradation stages: The Konstanz scientists, including biologists Professor Olga Mayans and Dr. David Schleheck, were able to identify glutarate and hydroxyglutarate as metabolic products, amongst others. The researchers mastered the structural characterization of the key enzyme glutarate hydroxylase by solving the crystal structure. They were also able to show that the oxidation of hydroxyglutarate to the central metabolic product α-ketoglutarate is coupled with the respiratory chain. Above all, however: With succinate as the endpoint of the metabolic pathway, they were able to prove for the first time that lysine can be degraded in a glucogenic manner. Jörg Hartig summarizes: "The degradation pathway we've discovered is the very first one to degrade lysine to a glucogenic compound." The compound hydroxyglutarate, which had not been described previously as a metabolic intermediate, can act as an oncometabolite in humans. This means that it can accumulate in some forms of cancer and promote tumour growth. That hydroxyglutarate might play a role in cancer already at the development stage is a topic of discussion. "If the detoxification of this compound is disrupted, then this could contribute to the development of cancer," says Malte Sinn. To date, scientists were not aware of any specific role for this oncometabolite. It was regarded as metabolic waste. "We've found out that at least in many bacteria it's not simply waste but part of a pathway," says Hartig. This makes hydroxyglutarate an intermediate product. Apart from their role in cancer, glutarate and hydroxyglutarate play important roles in certain hereditary neurodegenerative diseases. If detoxification mechanisms for metabolic products are already defective in the genome, these substances ac-cumulate as a consequence, leading to neurological disorders already in childhood. 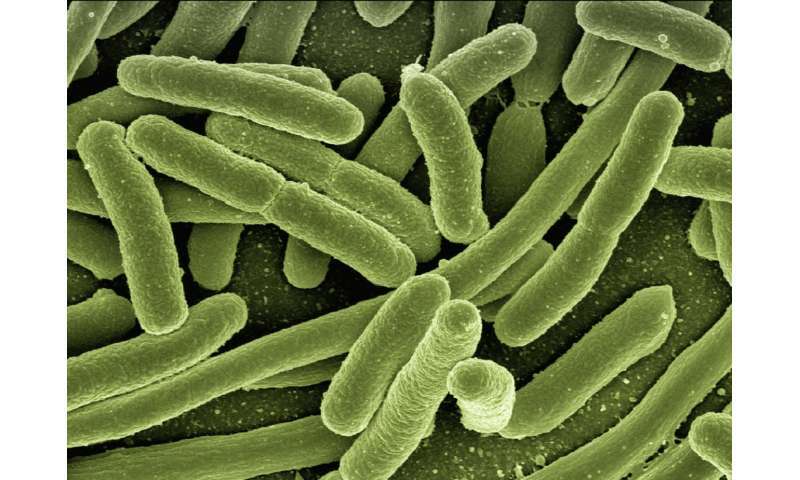 The scientists can imagine that via organisms such as E. coli, which are able to carry out this degradation pathway in the bowel, these metabolic products enter human cells and must be disposed of there. Sebastian Knorr points out that research is paying more and more attention to the interrelationship between bacteria that colonize the bowel and humans. "Our results justify taking another fresh look at such processes. Perhaps we'll find more links."